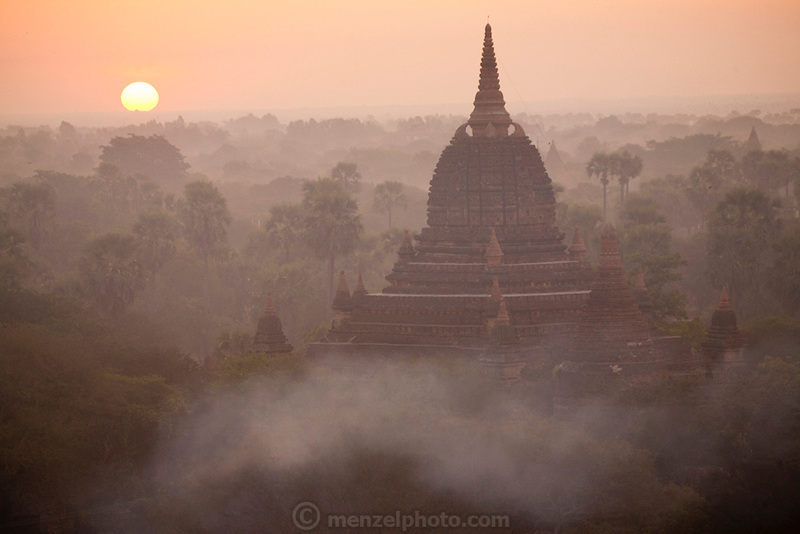 Bagan, Myanmar, also known as Burma. The Bagan (also spelled Pagan) Plain on the banks of Irrawaddy River in central Myanmar, is the largest area of Buddhist temples, pagodas, stupas and ruins in the world. More than 2,200 remain today, many dating from the 11th and 12 centuries.